No 28 Kingston was built as the residence of the Moore family at least by 1842 and Joseph Chaffey Moore is recorded there with his family in the 1861 census and was still living there in 1901 at the time of his death (although he actually died in Oxfordshire). 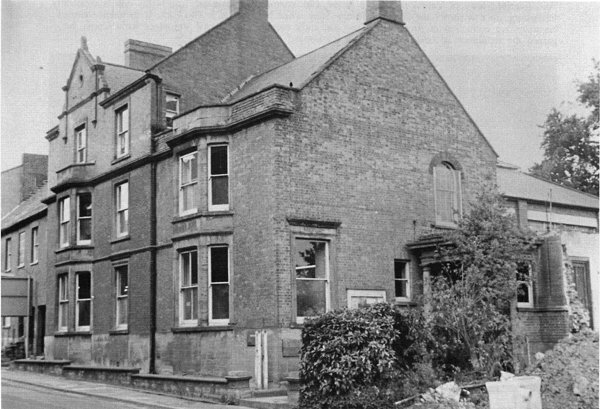 During the 1910s, 28 Kingston became a private 'Nursing Institute' (the equivalent of today's nursing home). During the early 1920s 28 Kingston Was the venue of the Petters Club, the staff social club of Petters Ltd. The lease expired in September 1922 at which time the club's furniture and fittings were sold by auction (see Gallery). In 1928 No 28 Kingston became the Registry Office and the offices of the Yeovil Rural District Council and the house was merged with adjoining No 26. A council chamber being added in 1933. The Wyndham Museum was originally the billiards room of No 28 Kingston. The museum was the gift of William Wyndham to the town and formed the origins of the later Yeovil Museum. 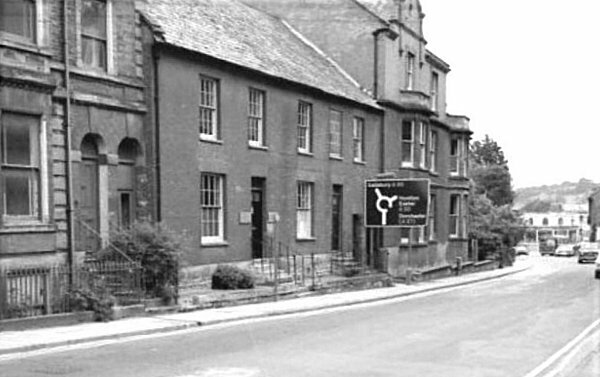 When the house became the RDC offices the museum exhibits were divided between the Yeovil School in Goldcroft and the new museum in King George Street. 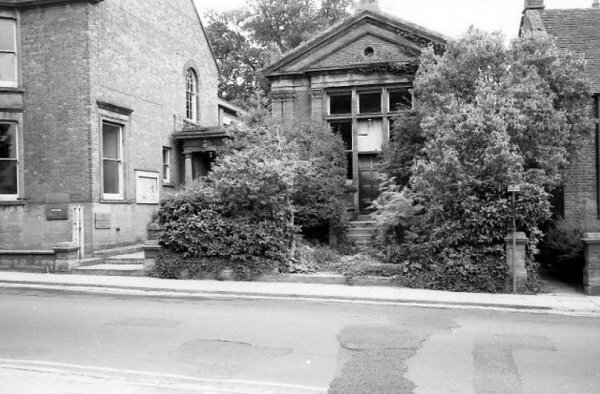 The building was demolished in January 1969 for the widening of Kingston. 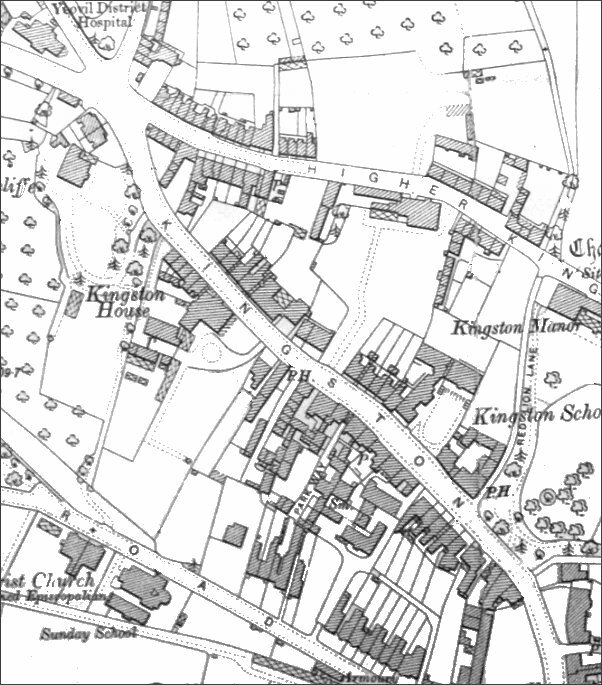 This map, based on the 1901 Ordnance Survey, shows the entire original length of Kingston from the Fiveways Crossroads at top left to Mansion House and North Lane at bottom right at which point Kingston becomes Princes Street. No 28 lies at centre above the 'NG' of Kingston, with the billiards room attached at right. The same terraces but photographed closer to town. In the distance is the white building that was Vincent's car showrooms, now Batten's solicitors. The three-storey building immediately behind the traffic sign, No 28 Kingston, was the Registry Office and the offices of Yeovil Rural District Council until the local government reorganisation of 1974. No 28 Kingston, was the Registry Office and the offices of Yeovil Rural District Council until the local government reorganisation of 1974. The Wyndham Museum was originally the billiard room of No 28 Kingston. The museum was the gift of William Wyndham to the town and formed the origins of the later Yeovil Museum. The museum was later housed in the municipal offices in King George Street and then in the coach house of Hendford Manor. Today it is all locked up in Artillery Road and, although it is still accessible by appointment, how awful is that! 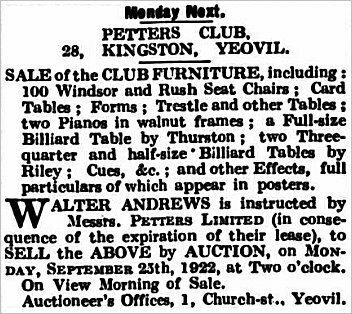 On the expiration of their lease in 1922 the Petter's Club were forced to quit 28 Kingston and sell off their furniture, billiard tables, etc. The Wyndham Museum in the former billiard room at 28 Kingston. 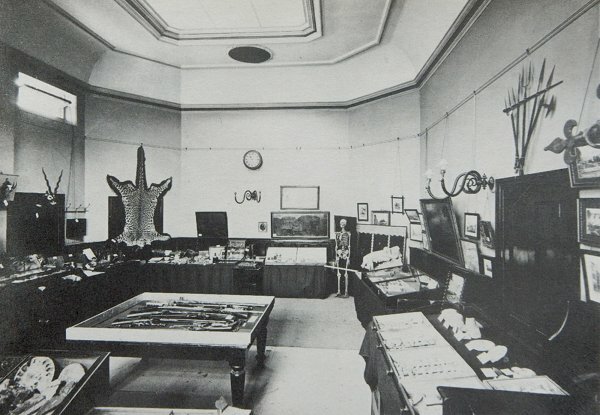 Photographed before the dispersal of the exhibits in 1928.